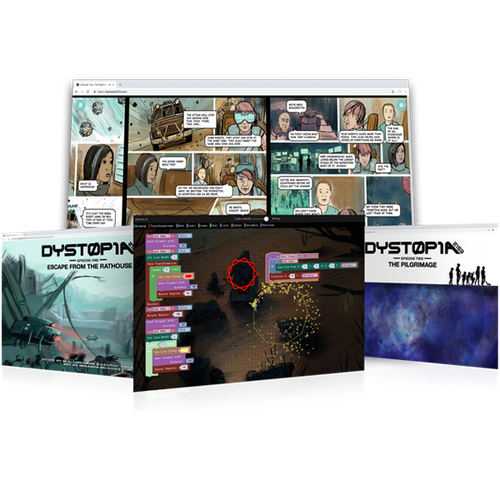 Dystopia 2153 is an all-in-one resource that combines coding games and graphic novels. Dystopia 2153 connects 21st century skills with the love of reading and hopes to inspire the next generation of coders and storytellers. Dystopia 2153 features an original soundtrack, scored by an innovated and multi-faceted composer. 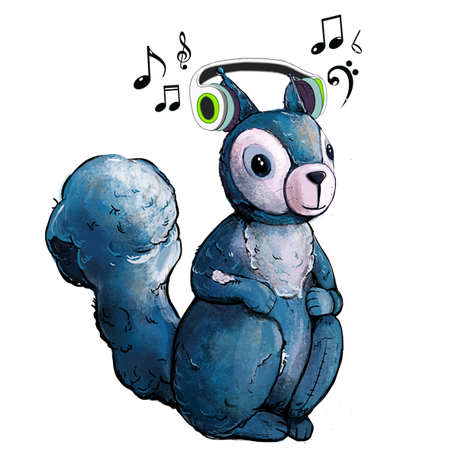 The music is emotionally-charged and supports the story as it unfolds. 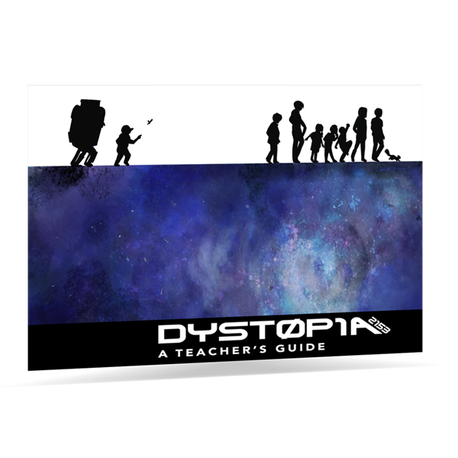 Dystopia 2153 meets STE(A)M and Literacy outcomes. Browse the Teacher's Guide for tips and hints on how to integrate the text and images found in the graphic novel. Consult the Answer Key if your students are stuck on puzzle. More teaching resources soon to be released. 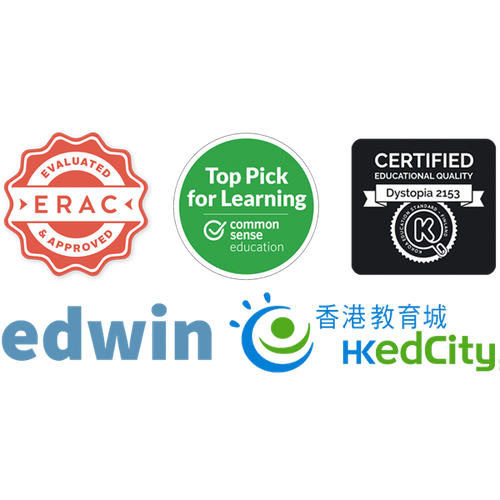 Recognized by these outstanding organizations, Dystopia 2153 pursues the Path to Excellence.